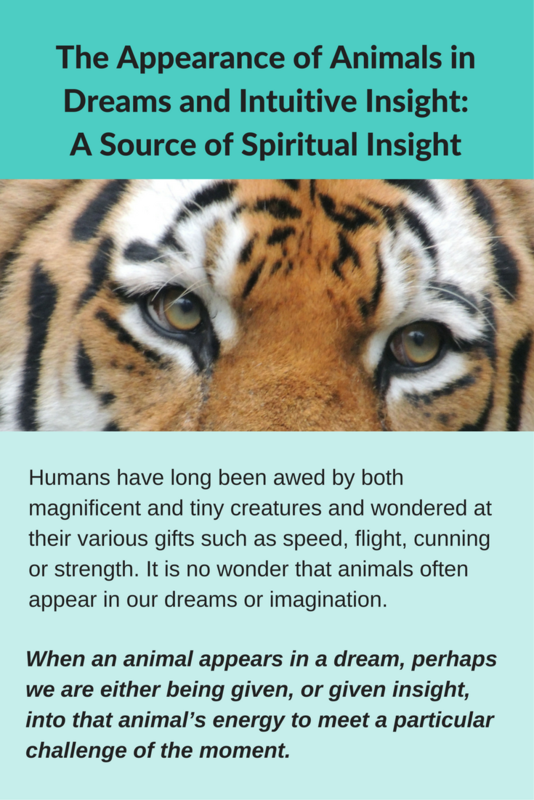 Animals in dreams are a source of insight. One of the classic signs of fear showing up in our lives is the overriding attempt control it. Our lives can literally get bent out of shape by fear as the flight or fight response kicks in—flight in our trying to run away from what we fear, fight in our desperate attempt to alleviate it, suppress it or shut it down completely. The flight/fight response was a coping method that worked well for our ancestors in the jungle for whom the main objects of fear were usually readily identifiable animals larger or more deadly than themselves. Nowadays, few of us have to contend with actual alligators and lions just to get food on the table—but that is not to say we don’t have things to fear. The things we fear are now less tangible and as a result, often beyond our understanding and grasp, and therefore less easier to deal with, like a racial prejudice, unjust laws, people and cultures we are not familiar with, fake news that is difficult to verify, etc. This makes it harder to determine if what we fear is really worth fearing! The fear often cannot be tested immediately by just taking a quick look at the “beast” from a safe distance. As a result, there are many fears that just hang in there or get bigger and more believable, and eventually rule our lives. When others fear the same things, a community of fear builds up which reinforces one’s own fears and often it happens that the one who challenges those fears is victimized and shut up. In this scenario, the individual and the community may never know they are dealing with fears based on an illusion, misinformation, etc. What is worse, because very few people are willing to challenge their own fears or even address the need to have those fears, fear becomes a solid foundation for their lives, informing all of their decisions. One of the benefits of dreamwork is that it shows you when fear has some validity and must be taken seriously, and when fears are nothing but a colony of ants—a huge nuisance that can be easily managed. The way to tell is to look at the animals that appear in your dreams during a time of fear. The bigger or more deadly the animal, the more genuinely threatening the fear. And vice versa, the smaller, the less threatening. It seems our dreams remember when animals provoked fear and use those symbols to instruct us today. I am thinking of a recent dream I had at a time when I felt overwhelmed by a variety of fears. It would have been really easy to fall into a desperate state of mind. In the dream I walked into my closet and found many ants scurrying out of a drawer. On waking, I reflected on what the ants meant and and how they reminded me of the many little fears I was experiencing, brought on by scam phone calls, a billing mistake by a company, hassles of straightening out paper work, etc., came to mind. As soon as I saw the connection, I felt relief and knew my dreams were telling me to put my fears in perspective. These fears were based on petty things and I should not take them so seriously. I could handle them. Intuitive HeartBeat Newsletter of the Intuitive Heart Discovery Network. I am the editor and a contributer to this publication. The Healing Dream Garden LLC Consulting services and user manuals on intentional dreaming and intuitive meditation.